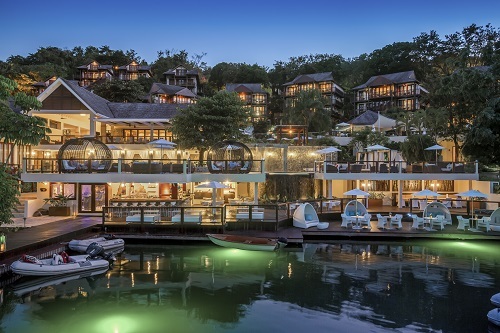 Capella Marigot Bay Resort and Marina is located alongside Marigot Bay, once described by the legendary American author James Albert Michener as “the most beautiful in the Caribbean.” With 124 rooms that include 57 suites (most with their own private hot tubs), spacious balconies and extensive views of the bay or lush tropical gardens, you’ll definitely have the space to get your luxury on! 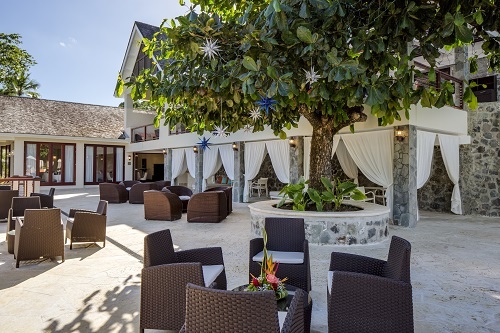 Their upscale casual restaurant, The Grill at 14*61* offers breathtaking views of the Marigot Bay cove area and an intimate Rum Cave housing specialty local rums for connoisseurs to savor in a space reminiscent of an authentic distillery with a touch of elegance and warmth. 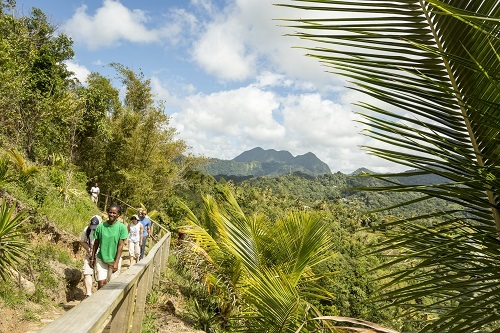 An ideal location for wellness, there are a host of activities including Piton hikes, water sports, rainforest hikes and volcanic waterfall tours. Their new wellness initiative offers “experiential” packages that promote a healthy lifestyle. Take a look at their upcoming packages below! Come join fitness and wellness expert Rebecca Kordecki for Booty Boot Camp and jump start all your 2017 New Year’s fitness and health goals. Nicknamed “Booty Guru” for her signature workout Booty Slide, Rebecca is now sharing her best kept secrets. Whether you want to learn the best ways to lift your booty and shape your legs or just strengthen your core, Rebecca will be offering two daily workouts to do just that. This retreat is about Oneness and connection with yourself, others, the cosmos and the Earth. As we deepen our connection with ourselves, we can deepen our connection with others. You’ll leave full of love and will feel inspired to create your heaven on Earth. Join Nikki Starr Noce, MD for the One Love Yoga Retreat to explore your commitment to share love, compassion, happiness, health and harmony. Jump-start spring with a detoxifying weekend to dissolve winter heaviness! Purify with gorgeous nature hikes to boost metabolism and enhance mental tranquility. Wring out physical sluggishness with detoxifying yoga classes carefully designed to safely increase strength, flexibility, balance, and muscle tone, while relaxing the mind with soothing breathing techniques and guided relaxations. Whichever you choose, you’ll spend a weekend enjoying healthy food, detoxifying exercise and deep rest. Leave with a lighter body and brighter mind!